Press Release – New York, NY – December 23, 2015 – Securities and corporate law firm Sichenzia Ross Friedman Ference LLP announced today that the firm has represented eMagin Corporation (NYSE MKT: EMAN) (the “Company”), the leader in the development, design and manufacture of Active Matrix OLED microdisplays for high resolution imaging products, in connection with its $6,000,000 registered direct offering. The Company sold an aggregate of 4,000,000 units at a purchase price of $1.50 per unit, with each unit consisting of one share of common stock and a warrant to purchase 0.65 of a share of common stock at an exercise price of $2.05 per share of common stock. Each warrant will be exercisable, commencing six months after the date of its issuance, for five years. Craig-Hallum Capital Group, LLC acted as the Company’s exclusive placement agent for the offering. 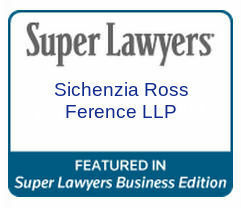 The Sichenzia Ross Friedman Ference LLP team was led by partners Richard Friedman and Henry Nisser and associate Jeff Cahlon.